Welcome to the Holiday Inn Express & Suites Lawrenceville Hotel, our hotel is conveniently located in Lawrenceville Georgia off Hwy. 316 and Hwy. 120 (off 85 exit 106/107). 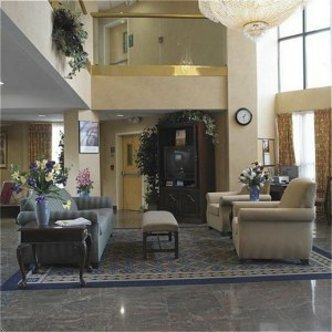 The Holiday Inn Express Lawrenceville hotel is the closest hotel to the Gwinnett Medical Center, located 1/2 mile away. Our Lawrenceville Hotel is also close to the following: 1/2 mile from the Gwinnett County Court House, 1 mile from the Gwinnett University Center, 5 miles from the Arena at Gwinnett Center, 3 miles from the Gwinnett County Fair Grounds, 8 miles from the Mall of Georgia, 5 miles from Discover Mills Mall and the Bass Pro Shop Outdoor World, 3 miles from Gwinnett County Airport (Briscoe Field), 3 miles from Progress Center Business Park, 1 mile from Sugarloaf Parkway, 30 miles from Road Atlanta, and 40 miles from the University of Georgia. All of our rooms are suites and have free high speed Internet, kitchenettes, sleeper sofas, and work desks with 2 line phones, which have voice mail. When you are travelling on business or on vacation, and eager to get to your destination, Holiday Inn Express Lawrenceville hotel is the hotel that suits you best. We have just what you need - clean, comfortable rooms, free local telephone calls, and a free Express Start Breakfast. This hotel is committed to providing accessible facilities under the American Disabilities Act. If your accessibility needs are not met, please contact the Hotel Manager on Duty. Should you require additional information regarding accessible facilities for guests with disabilities, please call 1-800-Holiday (U.S. and Canada) or contact the hotel directly. For the hearing impaired, TDD service is available at 1-800-238-5544 within the U.S. and Canada.